I am a salesmen in the Outside Sales Department. I deal directly with our local customers in Chester, Delaware, Cecil and New Castle counties. We work directly with the customers doing product demos, training and equipment sizings. We also act as a trusted advisor for fire companies to make decisions that will best suit their needs. Our job is very service-oriented which includes being available to our customers 24/7. This is very important to the success of our sales team. 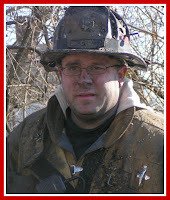 I have been a volunteer firefighter for 21 years in Chester County. 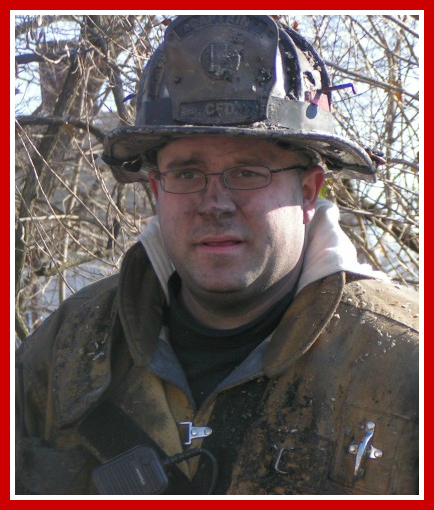 I am currently a Lieutenant with the Coatesville Fire Department. Of course helping others is first and foremost what we train for. However, the friendships and brotherhood aspect of the fire service is pretty awesome! I got to see the brotherhood firsthand last year when I was injured in the building collapse at the Millview Apartments. My wife and I will be forever grateful for all the help and support we received from our friends, family and the fire service during this most difficult time. Not only firefighters from my fire department, but the many customers I service from the area were coming to the house to help with anything we needed and made sure I had transportation to various doctor appointments. It was very bittersweet but I saw the best in people after I went through the worst event of not only my life, but the lives of three of my best friends! I do, I really do! I get to do something different every day and work with people that have been in some of the same situations I have been. It’s very rewarding to be on both sides of this business.